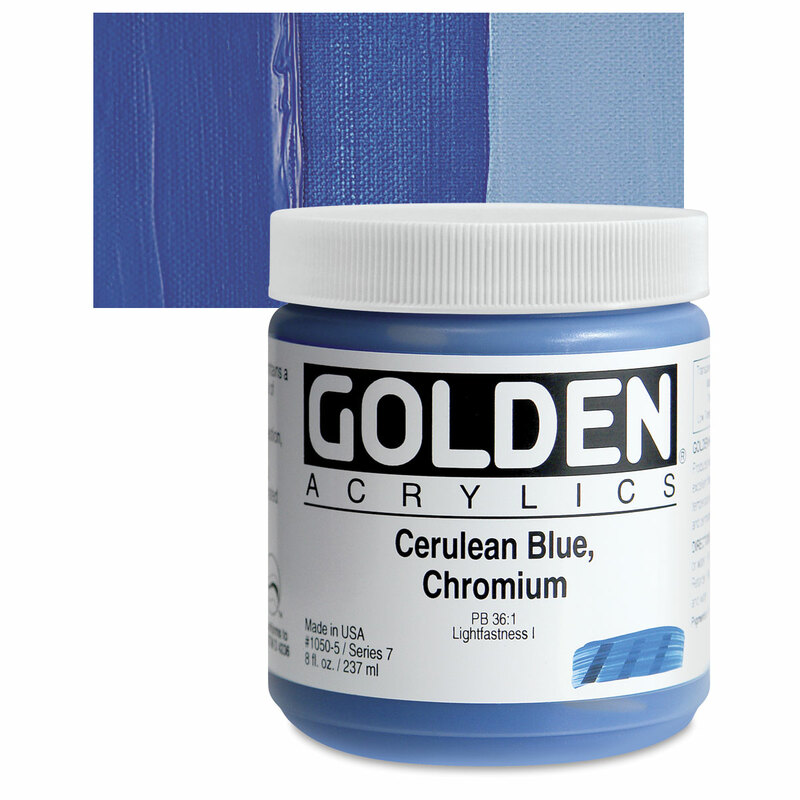 A variant on Cerulean Blue PB36 that is slightly less bright and slightly more greenish. Cobalt salts are toxic when ingested or inhaled, and slightly toxic on contact with the skin. Evidence of Chromium(III) carcinogenicity is inconclusive. Chromium(III) salts appear in greenish pigments. Chromium(VI) salts, which appear in yellowish pigments, have been proven to cause cancer. WARNING: This product contains a chemical known to the State of California to cause cancer.